Susmita Weds Partha Cinematic Bengali Wedding Film by Raja Das Photography in Kolkata . We are a 8 year old professional photography services company, specializing in Destination Wedding, Pre-wedding Shoots, Engagement, Reception, Marwadi Wedding, Gujarati Wedding, Bengali Wedding, Tamil Wedding, Catholic Wedding, Maharashtrian Wedding, Theme Wedding, Concept Wedding, Couple Portraits, Bridal Portraits, Wedding, Candid Wedding, Hindu Wedding, Muslim Wedding, Christian Wedding, North Indian Wedding, South Indian Wedding, Indian Wedding, Kids Portraits, Birthday, New Born and Babies & Kids photography. We offer products and services such as Frames, HD Videos, Promo Videos, Coffee Table Book, Blueray Disc, Photobook and CD / DVD. We accept customized photography requirements. Our studio is in Kolkata. We cover events in West Bengal, All Over India. We are comfortable communicating in English, Hindi and Bengali. Excellent work done on my wedding and reception day.Very professional and well behaved.Delivers high-quality photos and album.Highly recommended for capturing yours special day . We knew him from our maternity shoot to newborn baby shoot... He is very professional and creative with his camera. He understands the need of every customer and tailors photoshoot accordingly.. I'm very happy with my baby photoshoot, he was very patient with my baby and gave all the time required. Would recommend. He is a wonderful professional gives his best when it comes to creativity and delivers a word class end product.His work has been appreciated by many of clients. Now a days more important is behavior with clients and Raja Ji is well known and habitual with this.I never feels that I am taking service 1st time. Addition to this As per market Price and quality of photography is excellent. Courteous, friendly and very considerate regarding the situation, he gave us plenty of time during the shoot, to let the would-be mother rest in between snaps. Gave a lot of time and effort to the shoot from his end. And the finished product is excellent, picture quality and layout is beautiful. There were a few specks here and there on the album...but that is a problem of lamination and can't be ascribed to the photographer per se. Other than being a good photographer he is a good human being which shows in his work. I must admit his professionalism is top notch. If ur searching for the best, trust me ur search ends here. I hired Raja for my two year old's birthday shoot and outdoor shoot. He maintained a very cordial relation and professional attitude throughout our association. He worked hard to keep up with the high spirited kid in indoor and outdoor and also was very much creative to capture candid moments as and when necessary. I look forward to work with him soon in future, and best wishes for all his endeavours. They are one of the best in Kolkata on all aspects of photography. Expertise, quality of the photography, professionalism all are too good. Recommend to all for wedding & other occasion. Briiliant and Excellent works. Timely delivery and completion. Nice behaviour and expert hands. Quality of the works are too great and awesome. Would love to recommend again. One of the best decisions my husband and myself made for the rice ceremony for our little princess , to get the flavour for Raja Das Photography. Not only did our pictures turn out beautifully - but he/his team was incredibly easy to work with from beginning to end. From scheduling meetings/communication over phones/WhatsApp, to the last minute pictures we wanted on the day of the ceremony, he/his team was incredibly flexible and easy going. It is not easy for someone to match himself/herself according to a kid's movement, and this job was done very easily and in perfect manner by Raja and his team. Thank You once again for all beautiful clicks. We highly suggest meeting with Raja and booking him for any upcoming photo needs you may have - he's worth every penny! Recommended for the photo shoots. He is very professional, soft and humble in nature. And very punctual too. He is a young and talented photographer. Thanks. He did my Prewedding shoot on 15th Oct 2017,he was on time and very creative.He was professional,friendly and easy to approach on the phone and in person. More than his ability as a photographer we were overwhelmed about his behavior. He is a very nice person, dedicated towards his job, responsible and also very punctual. We definitely recommend him also post delivery baby shoot is on him for sure. Good experience, will definitely referto my friends and family memebers. Very professional and high levels of creativity. He understands the requirements of his customers and aims to satisfy them as much as possible. It was my daughter's Rice Ceremony and I got his contact from here and it was not a wrong decision to choose him as I have got some nice memories captured by him. Raja is a nice person with friendly nature, professional approach and punctuality. RAJA IS A VERY GOOD PHOTOGRAPHER AND CO-OPERATIVE. HAD A VERY GOOD EXPERIENCE WITH HIS PHOTOGRAPHY. HE IS ALSO UPDATED WITH THE LATEST TYPE OF PHOTOGRAPHY AND IS ALSO INNOVATIVE. Raja is a very nice person with good photography skills. He is very professional and very humble too. Mixes with people to have a good connect with the client to make them comfortable. Good photography skill & friendly nature . Good pictures at some great location . Looks after the comfort of client also. It was great experience and expecting to get really some awesome pictures in final copies. Friendly attitude, punctual and committed. good quality work. Value for money. Highly recommend. Keep it up Raja. Wish you all the very best. I will contact you soon again. One of the best photographers in Kolkata dedicated to his work and gives enough time and attention to his customers. Had a maternity shoot and my wife and me are very happy with the photo qualities and ideas. 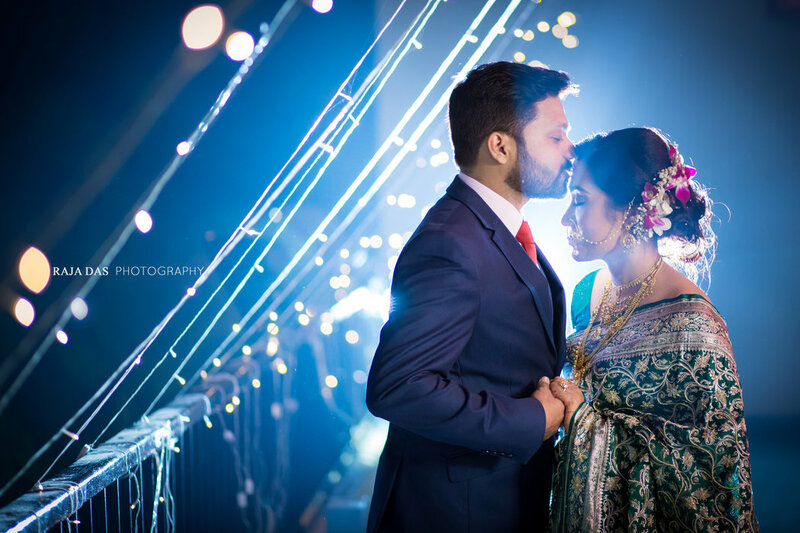 Your message was successfully sent to Raja Das Photography. The Photographer may contact you soon.